System Check is the PUP that uses misleading techniques to prevent removal. Use Reimage to locate malicious components and get rid of them faster than with uninstall instructions. A full system scan blocks virus reappearance and prevents traffic to malicious domains. System Check is a fake defragmenter that shouldn't be left on your computer although you have never actually installed it on it. Its infiltration methods are based on trojans that come inside the system without any permission of a user asked. However, you can avoid finding this scam installed on your PC out of nowhere – just install registered version of anti-virus and anti-spyware and they will help you to catch it while infiltrating. System Check belongs to FakeSysDef family of fake defragmenters where the newest its member was System Fix. Just like this scam, System Check will also bombard you with annoying hard drive scanners and alerts claiming that there are numerous hard drive or RAM errors detected. However, all these messages are fake and you should simply ignore them. 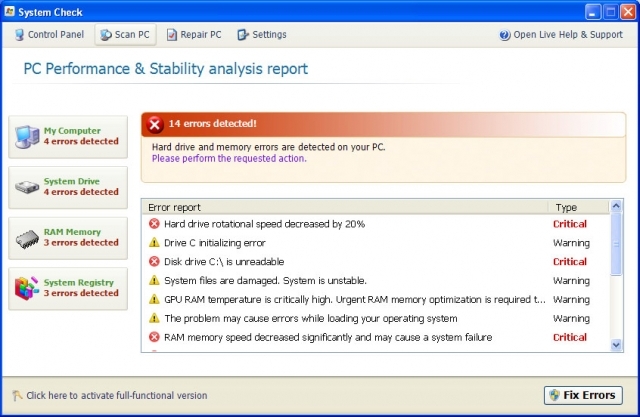 To save your machine, remove System Check from your computer which additionally tends to cause more problems for its victims. If not removed from the system, System Check will generate numerous pop-ups and scanners informing about system problems that can be fixed only with a help of its license. However, purchasing System Check is the same as throwing your money away. In addition, it will keep displaying the same fake pop up ads based on fabricated results. It’s natural that some users may fall into purchasing this scam. If you have also purchased System Check, make sure you contact your credit card company to dispute the charges. In addition, remove System Check before it downloads more malware on your computer. Download a reputable anti-spyware program or automatic removal tool given below and get rid of System Check for good. 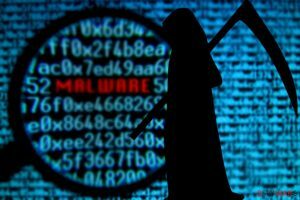 Note that this malware can cause annoying redirections of your browser, so follow this guide 'What to do when Google/Yahoo/Bing results are redirecting?' if you are also facing this trouble. This entry was posted on 2012-04-26 at 04:26 and is filed under Rogue Anti-Spyware, Viruses. You can quickly scan the QR code with your mobile device and have System Check manual removal instructions right in your pocket. How did you remove System Check?